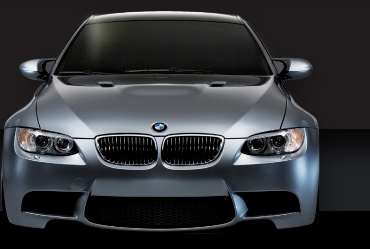 The BMW 5-Series was completely redesigned in 2011, known to Enthusiasts as the F10, and we think it was a Bullseye. With the F10, BMW has now made available modern day driver assistance features, and even greater creature comforts, which transform your ultimate driving experience. We love the Smooth turbocharged 8 cylinder which provides Excellent Performance, Power and Handling. This is a Super Clean 550i Manual Sedan and it is very well equipped with options ahead of its time for 2011. Blind Spot, Automatic High Beams, Lane Departure, Adaptive Drive, Sport Package, Back up Camera Multi Contour Seats start the list. It is current on its service and has been very well cared for mechanically and cosmetically. Our paint meter shows a repair to the driver side door, the rest of the panels look to be stock paint depth. We are pleased to offer competitive financing through CUDL which has allowed us to match or beat existing Pre approvals as well as Streamline the purchasing process. The Entire loan process can usually be taken care of in less than 45 minutes. 1 Owner, Clean Carfax, 6 Speed Manual, Sport Pkg, Handling Pkg, Driving Assistance Pkg, Premium Pkg, 2, Multi Contour Seats, Heated Seats, Rear Fold Down Seats, Navigation, Rear Sunshades, Back Up Camera, Blind Spot, Lane Change, Automatic High Beams, Bluetooth, Ipod, USB, Satellite Radio, Dakota Leather, Parking Assistant, Dynamic Damper Control, Adaptive Drive, Premium Sound, 19 Inch Alloy Wheels, Rear Sunshades, Space Grey Metallic Paint, DSC, HD Radio, Dual Auto Climate Control, Homelink, On Board Computer, Service Interval Indicator, Power Tilt/Tele Wheel, Cruise, Rain Sensors TPM, Shadowline Trim, Wood Trim, CD Player, Sport Mode, Memory Seats, Leather, Non Smoker, Clean Title, Clean Carfax, 2 Master Keys, Books and Window Sticker.